Elise Efremov, soprano, obtained her diploma of Lyrical Art in 2012 at the Conservatory Luigi Cherubini in Florence, in the class of M° Benedetta Pecchioli. She also attended masterclasses of Jill Feldman, Alessandro Corbelli and Gloria Banditelli. In the operatic repertoire, during the Florence summer festival of 2012, Elise played the role of Susanna in Le Nozze di Figaro. Since then, she has interpreted the roles of Zerlina in Don Giovanni, Musetta in La Bohème and the role of Gilda in Rigoletto, under the artistic direction of Beppe Menegatti at the Palazzo Riccardi Medici of Florence. In october 2015 she debuted with Pamina in the Magic Flute at the Theatre Regina Maria to Oradea in Romania, under the direction of Julian Smith and with the stage direction of Carmelo Agnello. During the Festival d ́Avignon 2015 she took part in the musical and theatrical creation “Rossini en secret” of Jean Michel Fournereau. In may 2016 she sang Sandrina in La Finta Giardiniera at the Mozarteum in Salzburg with conductor Gernot Sahler and stage direction of Hermann Keckeis. Between 2008 and 2015, in France and abroad, she interpreted some of the most important pieces of the sacred repertoire including The Requiem of Fauré, the Mass in C minor and the Exultate Jubilate of Mozart, the Stabat Mater of Pergolesi and the Mass to Sainte Cécile of Gounod, under the direction of Pierre Cao. 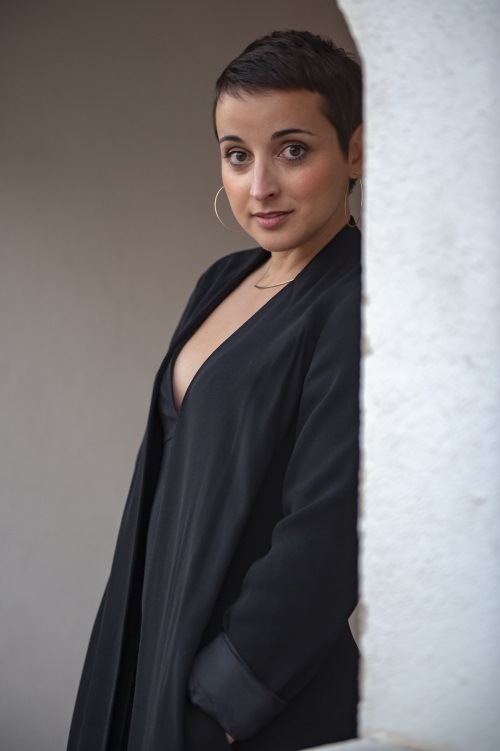 In February 2015, under the direction of Arsys Bourgogne, she performed as a soloist in the Petite Messe Solennelle of Rossini at the Grand Théâtre of Aix en Provence. In 2011 she went on a french tour under the supervision of Jean Tubéry, the artistic director of the baroque ensemble La Fenice, to perform a program of english music concentrating on the works of Handel and Purcell. The same year, supervised this time by the french violonist Régis Pasquier, she gave a series of chamber music concerts, especially Las Bacchianas Brasileiras n°5 of Villa Lobos and Der Hirt auf dem Felsen of Schubert. Elise is currently attending a Postgraduate course at the Mozarteum University in Salzburg with Barbara Bonney, who invited her to join her class after having listened to her during the Mozart Competition in 2014.